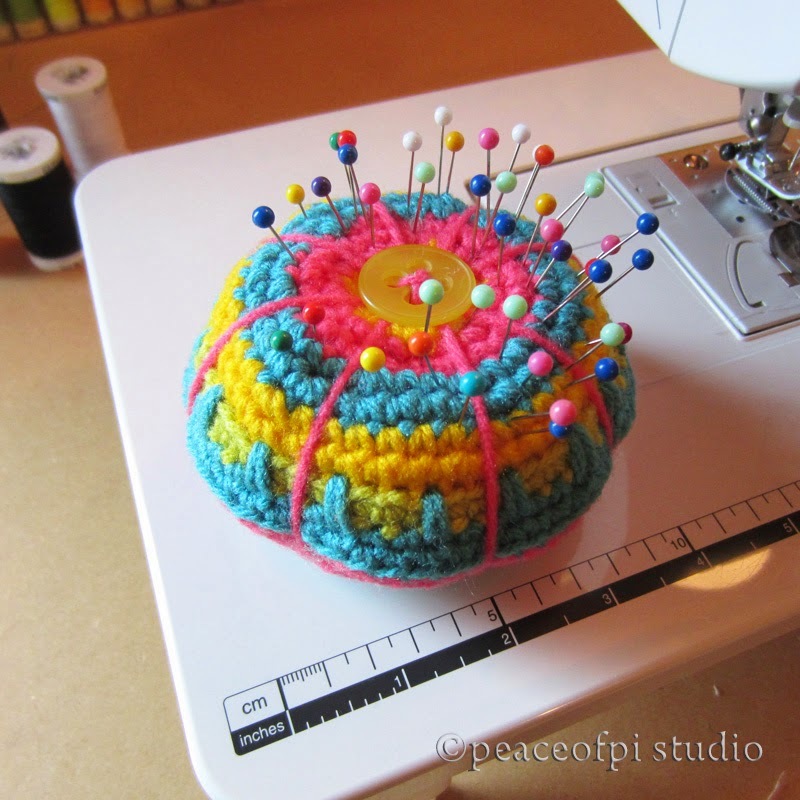 This colorful pincushion is made of yarn. Using a small hook and tight crochet stitches, it is created in the round in single crochet. The inside of the pincushion is filled with regular ployfil stuffing around a secret ingredient. After stuffing, the pincushion is compressed and squished down by the pink yarn wrapped in an octagonal design, all secured with a button. This makes for a sturdy dense pincushion. And the secret ingredient? - steel wool. The steel wool has a double purpose, it adds a bit of weight for a solid feel and it helps to sharpen the pins that will be jabbed into it. There is no pattern for this project, just rounds of tight single crochet, increasing and then decreasing to make a ball shape. Easy!